Thanks to the rapid development of science and technology, scholars interested in morality now have more sophisticated ways to do their research. To date, relatively simple methods, such as the interview and self-report questionnaire, have been available to study morality among human subjects. However, achievements in the field of neuroscience may provide researchers with more direct measures to examine psychological processes associated with moral functioning. For example, functional magnetic resonance imaging (fMRI) enables investigators to study brain functioning while subjects are watching and solving moral dilemmas without any potentially risky surgery. 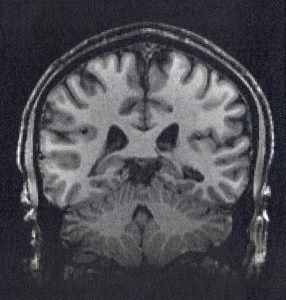 Although there are debates about whether data acquired by fMRI investigations could perfectly and accurately show us what is happening in the subjects’ brains due to its technological limitations (e.g., whether fMRI signals represent the real activity in neurons), it is obvious that scholars now have more research methodologies that can show them features of the psychology of human morality that could not be uncovered so far. Let’s briefly review some new findings from fMRI studies of human morality. Greene and his colleagues’ 2001 seminal article demonstrated neural correlates of deontological and utilitarian moral decision making processes. They examined neural correlates of moral judgment by presenting different types of moral dilemmas, such as the trolley and footbridge dilemma, to human subjects while they were in an MRI scanner. Their studies suggested that deontological moral judgment is associated with activity in brain regions related to emotion, while utilitarian moral judgment is associated with activity in regions related to cognition. Following Greene et al.’s fMRI studies, many scholars in moral psychology have been using the fMRI method. The topics of these studies include but are not limited to the influences of cultural factors on moral judgment, the different neural correlates associated with different types of moral philosophical decisions, the role of self in moral reasoning, how to alter social rule conformity with the brain stimulation, etc. Although the aforementioned fMRI studies have significantly contributed to advances in psychological research on human morality for sure, whether and how they can contribute to improve education in practice, particularly moral education, is still unclear. Moral psychologists now have more knowledge about how human beings make moral decisions based on empirical findings at the neural level. Then, what could moral educators, who teach their students and create moral educational programs, learn from such empirical findings? For instance, what do new findings about the relationship between brain regions and specific moral functionalities tell educators about how to improve moral education at the practical level? Given the brain stimulation study that showed that stimulating the prefrontal cortex can enhance social conformity, should teachers use the method in their classrooms? Empirical neuroscientific studies per se might not be able to easily respond to these practical-level questions. My dissertation on moral education attempted to answer the aforementioned questions by conducting studies in multiple disciplines. I was mainly interested in how findings from neuroscience research can inform moral psychological research and finally moral education in classroom. To achieve this goal, I started with setting up a basic hypothesis for my own experiments by reviewing previous fMRI research on morality. The first chapter of my dissertation presents the results from the quantitative meta-analysis of previous fMRI studies focusing on moral functioning to illuminate the common neural activity pattern associated with moral functioning. In the second chapter, I conducted an actual fMRI experiment that examined neural activity in the regions that were found to be commonly activated across moral psychological fMRI studies in my meta-analysis, particularly regions associated with selfhood. Then, I designed and tested a psychological intervention based on the neural-level evidence in a lab and classroom; findings from the intervention experiments are reported in the third chapter in my dissertation which, for example, showed that attainable moral exemplars are more effective than extraordinary ones in promoting engagement with voluntary service. Although my dissertation would only be a preliminary trial to develop more effective moral educational interventions based on neuroscience and empirical evidence, the findings reported in the chapters might suggest a possible pathway from neuroscience to moral education in practice. In the following posts, I will discuss how findings from neuroscience can contribute to moral education with concrete examples, chapters constituting my dissertation. Furthermore, I intend to introduce some other works about the development of computational models predicting long-term, large-scale outcomes of educational interventions in moral education. Such computational model-based simulations will be able to assist educators and educational policy makers who are struggling with setting educational policies that can influence the developmental trajectories of students. I hope these future posts provide readers with some useful insights about how to bridge the gap between neuroscience and moral education in classrooms and schools.